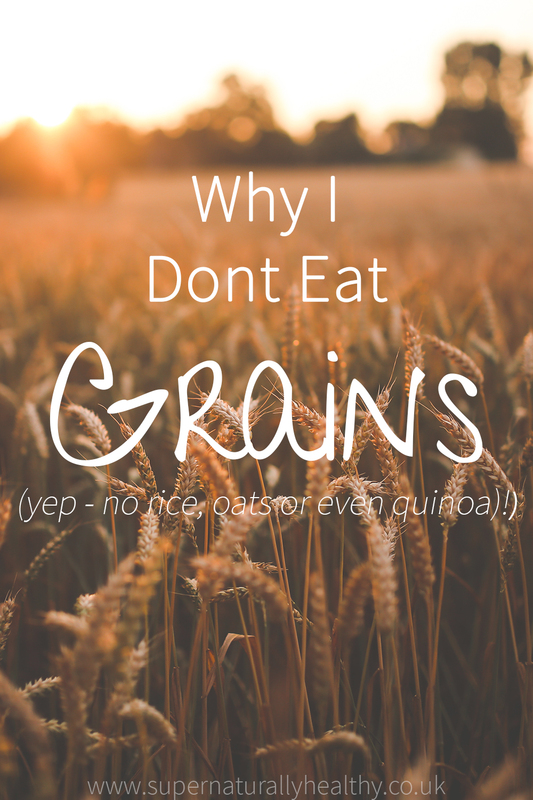 Why I Don’t Eat Grains…..
Yep, this health coaching gal is NOT a fan of stuffing her face with tons of ‘healthy whole grains’. That means no quinoa, rice or oats for me regularly (be guys obviously sometimes porridge is a must so???). I first started not eating them when I began the Gut and Psychology Syndrome (GAPS) diet, (find out more about that here) which is a gut healing protocol that I used to help me sort out my messy belly. So to find out why, watch the video below or scroll down and read…. Why I don’t eat grains!!!!! I’m going to explain a couple of reasons why I personally don’t eat them but it is important to point out that this is my choice, my body and I’m going to explain with you some of the research and information that I have come across that has formed my decision. But this is by no means “you should do exactly what I did because I did it“. Your body is completely unique and your lifestyle and capacity are totally different to mine. And I just want to provide this information for you so you can make informed choices, you can do research for yourself and you can make powerful choices for you. OK? 1. Most grains contain gluten. Not all grains contain gluten but a lot of them do especially things like wheat, rye, spelt. I have found gluten to be really problematic for my body. For example; I recently went traveling and ended up having lots of sneaky bits of gluten in my food as we ate out lots and there is not always masses you can do about sauces, language barriers and all that sort of stuff. After about five weeks of consistently eating gluten my joints start to flare up as it really impacts my immune system, I also get very fatigued and my mood really starts to go downhill. There’s a lot of research (here’s an example) about the inflammatory impact of gluten on the body, and while I don’t have celiac disease gluten still impacts my immune system and my body negatively. There is some evidence to show that certain gluten free grains are actually cross-reactive in the body, meaning that I could have a gluten free grain, like amaranth, but my body would respond and react like I had eaten gluten. 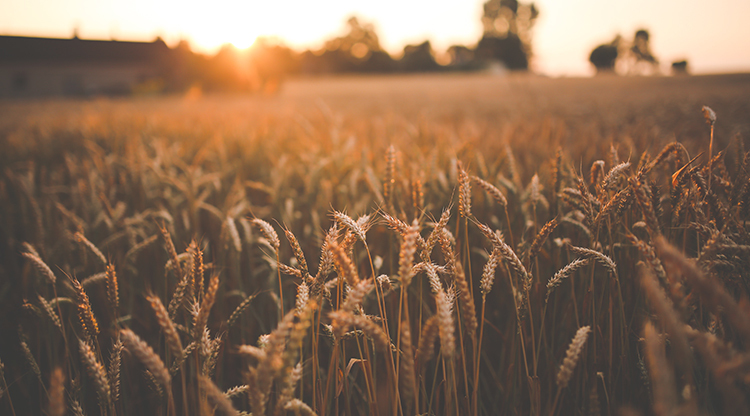 For decades we have been told that our diet should be based on lots and lots of grains but that is not in line with what the evidence is showing us right now. There are some nutrients in grains, you have a couple of B Vitamins and some other nutrients in things like brown rice and whole grains, but we can’t always absorb them and get the most out of them during digestion. If you compare some wholemeal bread to some organic raw butter, organic beef or spinach, then it is always going to fall short in terms of nutrient density. And lets face it, I am ALL about the butter…. The most common enzyme inhibitor in grains is phytic acid which can prevent our bodies from absorbing all the good stuff that is within our food. Grains may have some good stuff within them but remember, we are not what we eat but we are what we digest. If we can’t digest the good stuff within the grain then it just becomes a waste or filler food that doesn’t really do all that much. When I do eat grains, like oats, I soak them overnight in salt water beforehand. So if you do want to carry on eating grains then just soaking them overnight in salted water can really help. Nuts also have a lot of this enzyme inhibitor in too so I also soak and dehydrate all my nuts too before making mountains of almond butter….. Grain is another form of carbohydrates. Carbohydrates become glucose in our blood after it is digested and glucose is the energy to keep us going and alive, which is all good. BUT we have made grains staple in every meal; toast for breakfast, pasta for lunch, couscous and lamb for dinner, biscuit and other snacks with grains throughout the day. This means throughout the day we constantly are having an overload of glucose in our bodies. Again this is different for each individual but most of the time we are getting too much insulin spiking food, too much glucose in our blood, our bodies store that excess glucose as fat. I personally think there is a link to this and the rise of Type 2 diabetes that is usually seen in the elderly but now it is very common to see it in young people. This is influenced by a variety factors obviously, but I think a constant intake of glucose forming foods without a focus on fats and proteins is also a factor. I personally think there is a link to this and the rise of Type 2 diabetes that is usually seen in the elderly but now it is very common to see it in young people. Now, this is influenced by a variety factors obviously, but I think a constant intake of glucose forming foods without a focus on fats and proteins is also a HUGE factor. There’s a great doctor called Dr. Pelmutter and much what I am going to say are things that I have learned from him. He is really interested in the impact of grains, carbs, and glucose on neurological health. He has written some great books called Grain Brain and Brain Maker. He talks about some really interesting research around gluten and grain consumption and the impact on brain health. So for example, Alzheimer’s is now being referred to as Type 3 Diabetes, because the disease results from resistance to insulin in the brain. The latest research on this topic is really interesting and important. For me, Alzheimer’s and dementia run on both sides of my family so I want to optimize my brain health as much as humanly possible. That is one of the many reasons why I choose not to eat grain in order to support my optimum brain function and to keep my body really healthy and happy. Those are just a few of reasons and if you want more in-depth information about the actual science and studies then click the links or read further resources below. What is really important to mention is that I do get my carbohydrates from other sources but as you can imagine my diet is relatively low carb and more focus on fat protein and of COURSE veggies! I eat lots of butternut squash, sweet potato, and other starchy vegetables and I have just introduced buckwheat recently (which is a seed flower). I will occasionally have oats and rice because it is fun, but I don’t make them the staples. So this approach doesn’t mean you have to cut out all gluten and all grains it is just about changing our habits and changing what is the foundation of our meals. We need to flip our focus from grains, making them a small part of our diet and make things like vegetables, healthy organic meats, fats, proteins our focus. I hope that has been helpful for you. Let me know below if you have any questions, I would love to hear from you. And the BEST place to get started is my first ditching gluten. Once you can live easily gluten free then going grain free is so much easier! And if you wanted some help on going gluten-free and you don’t have any idea how to start then make sure you check out my free Going Gluten-Free eGuide which you can grab underneath.